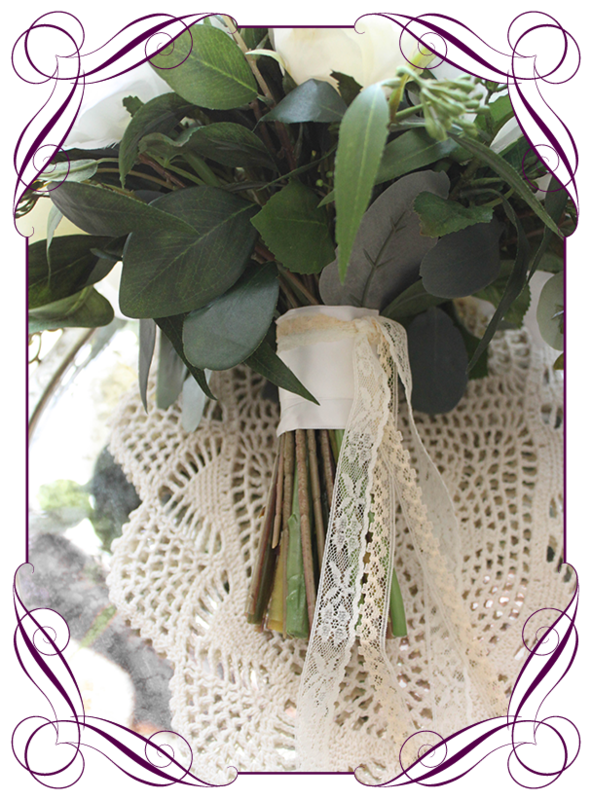 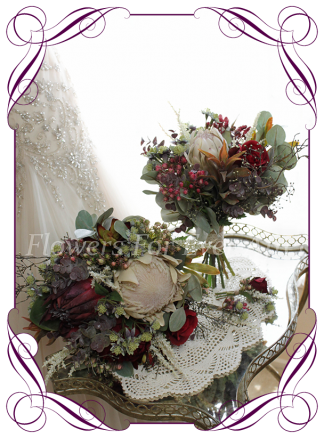 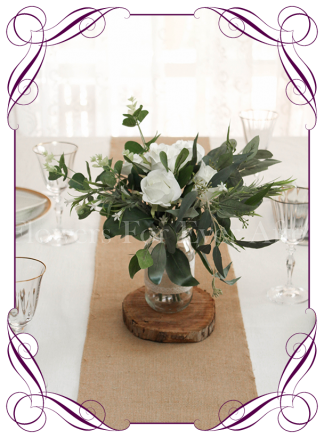 A flowing rustic style posy with beautiful neutral tones. 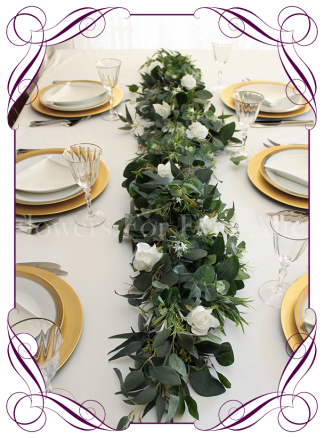 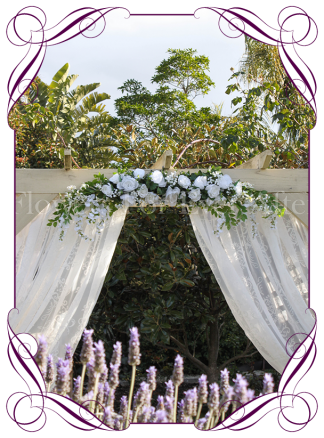 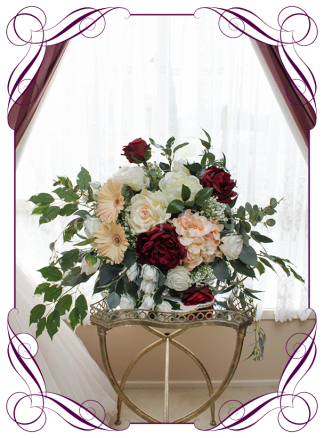 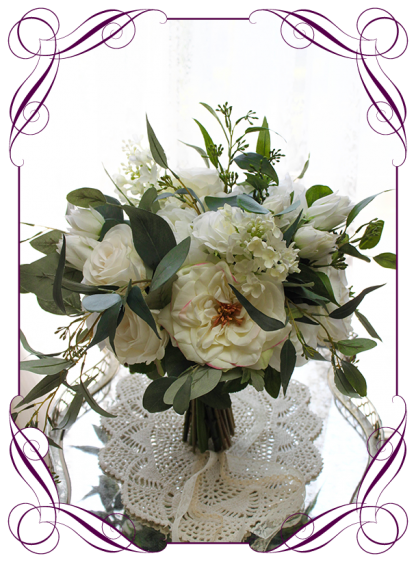 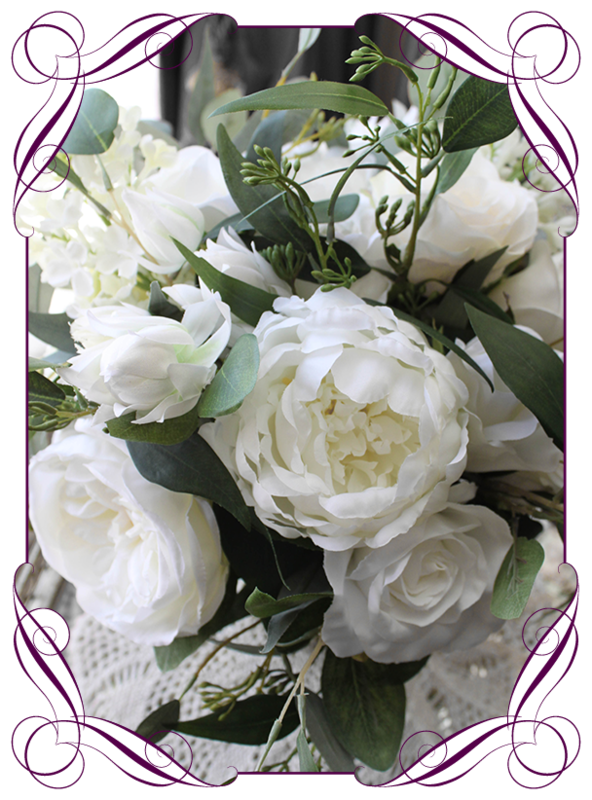 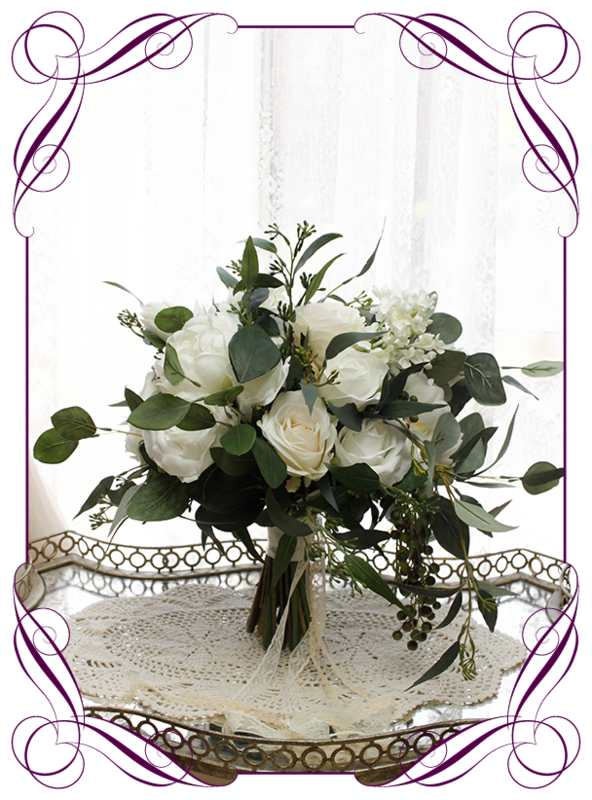 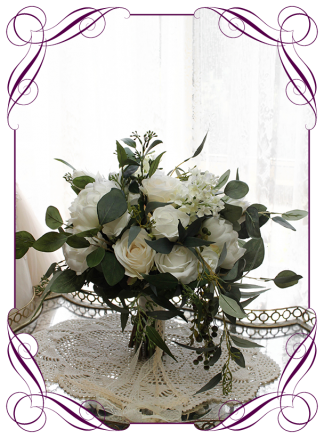 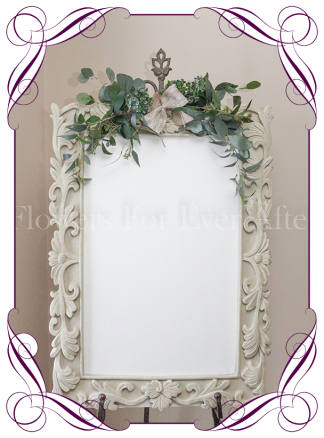 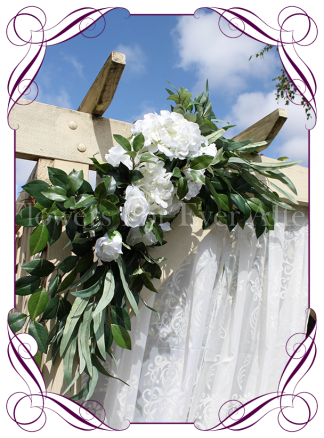 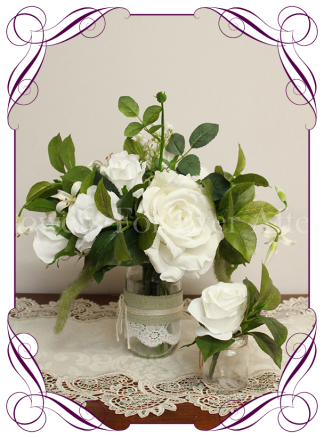 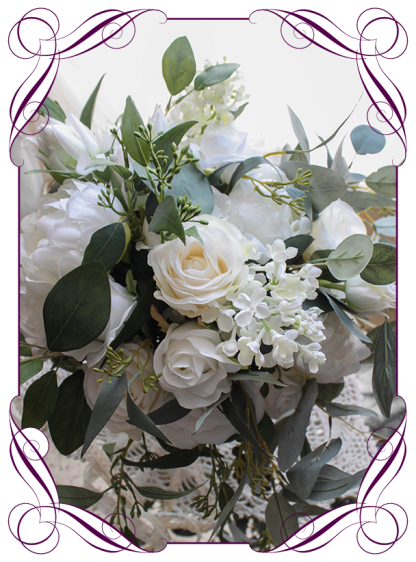 Features natural white roses, peonies, bud roses, lilacs, ivory roses, hanging green string of berries and loose seeded gum foliage for texture and movement. 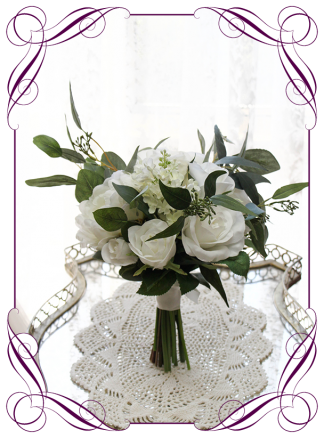 The stem is partially wrapped in a bridal white (ivory) satin with white and cream lace draping…Other options available in the drop menu below. 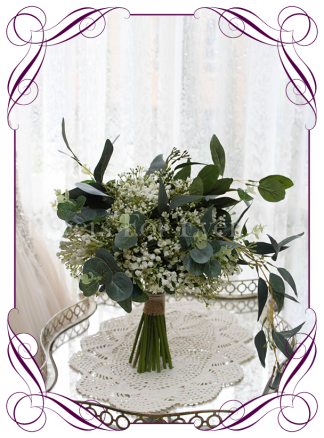 The pictured posy measures approximately 30cm (12 inches) across not including the foliage spray. 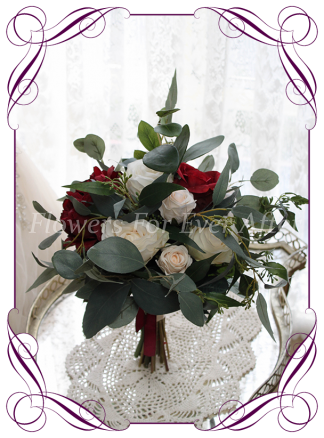 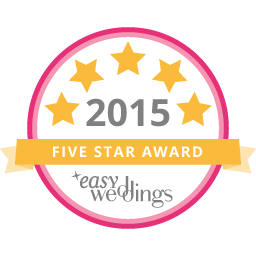 A matching bridesmaid posy, grooms button and groomsmans button are available in separate respective categories. ***CONTACT MARIA ON 0439 810 982 for more details.